​Oak Hill Garden Center, formerly known as Oakwood Greenhouse, was established in the mid 1970’s. Since that time, our garden center has grown to include three greenhouses, a pumpkin patch, vegetable garden and patio area which displays a wide variety of ornamental concrete as well as other seasonal items. 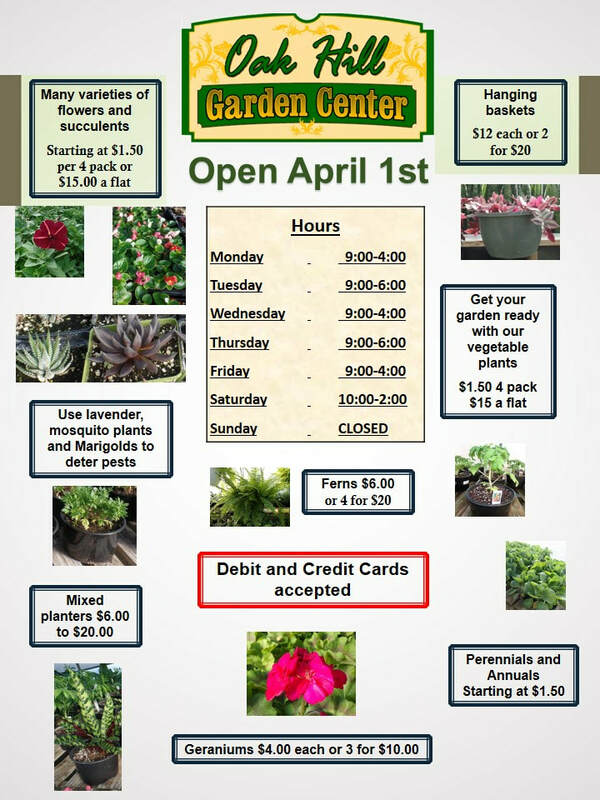 The garden center was designed to provide a service to the community as well as vocational opportunities for individuals with developmental disabilities. We provide employment opportunities for individuals who live at Bluegrass Oakwood as well as others who live in the community.